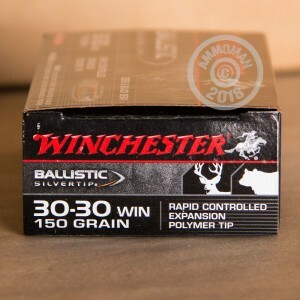 This Winchester Silvertip 30-30 ammunition is a great choice for hunting and defense in your Model 1894 or other tubular-magazine rifle. 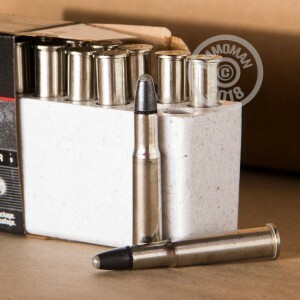 It fires a polymer-tipped bullet at a muzzle velocity of 2,390 feet per second and delivers excellent terminal ballistics through strong expansion combined with decent penetration. These cartridges come in boxes of 20 and use non-corrosive Boxer primers and reloadable brass cases. Grab any combination of items with a total list price of $99 or more at AmmoMan.com to qualify for free shipping!